I-MAKE IT Solution are the SEO service provider located in Pala, Kottayam, Kerala to reach new markets by giving and enriching your product or site. If you are looking for top search engine rankings in the organic results pages, then we can deliver exactly what you need. 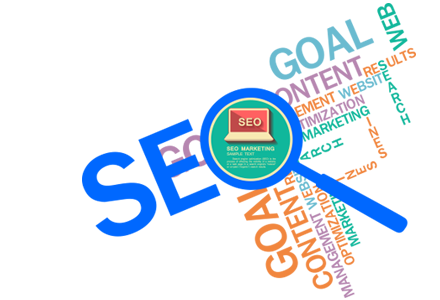 We are providing the SEO services at the lowest prices in Kerala. We provide both On-Page SEO (changes to the subject website and its pages) and Off-Page SEO (earning links from from external websites) to our clients. The world of SEO changes every day, so ensuring you are up to speed with, and adhering to, industry best practice is essential if you want to stay ahead of your competition. As a search engine optimisation agency, our experts only use ethical, white-hat, customer-centric techniques that will deliver you long term results, so you can rest assured that your website and reputation are in safe hands. Off-Page SEO works to increase your position in the search engine results pages by increasing the authority of your website in the eyes of the search engines. This is done by earning highly relevant links back to your website from other high quality and authoritative third party sites such as government departments, universities, or newspapers.